Our event spaces can accommodate small, intimate gatherings or larger events for up to 200 guests depending on the desired space and configuration. Originally a drawing room for formal social events, the room features museum-quality antique furniture and artwork original to the House, providing warmth and elegance for events. 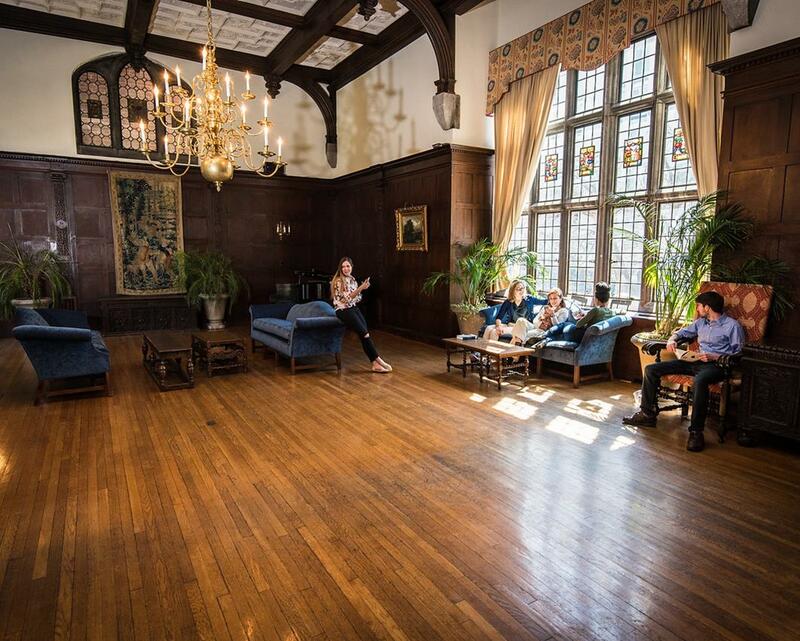 The Hall features a twenty-foot vaulted ceiling, leaded stained glass windows, and a large fireplace with an elaborate stone mantle. 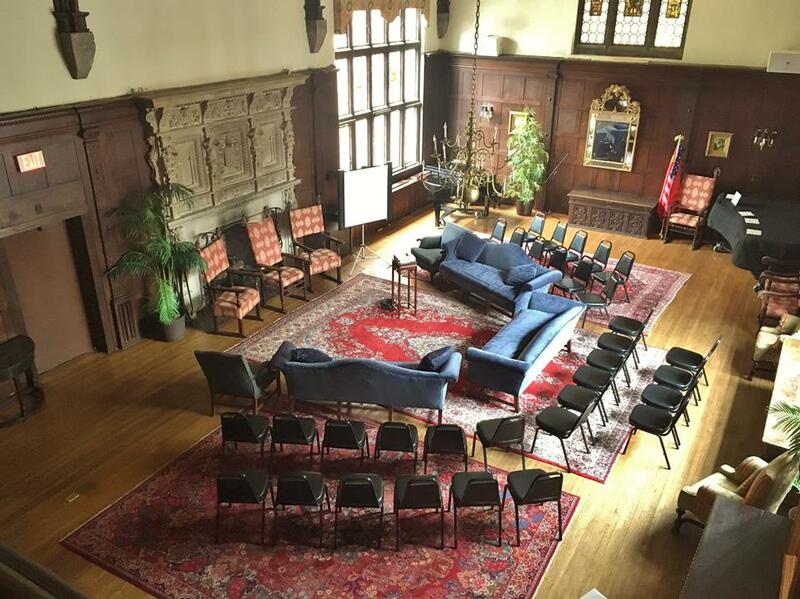 This space is perfect for full or half-day retreats, conferences, cocktail receptions, and corporate or private dinners. 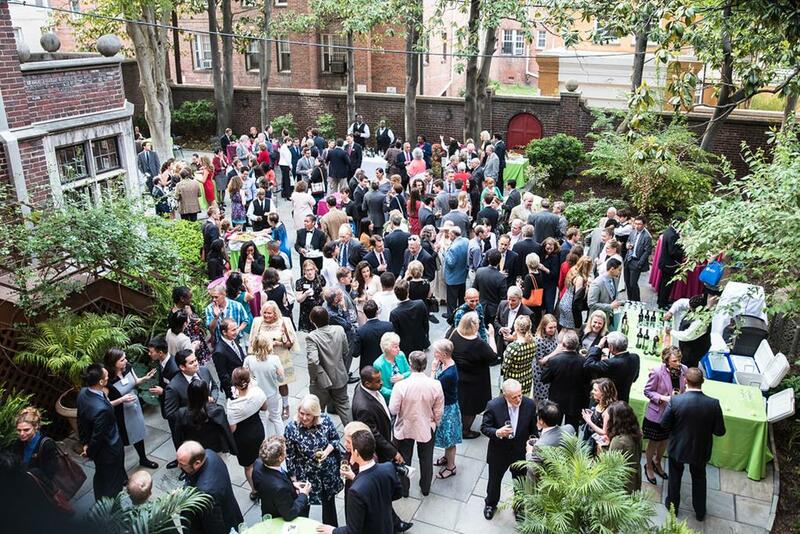 The Meserve-Lloyd House’s slate paved garden patio is an unexpected urban oasis. It serves as a perfect location for outdoor receptions and can be tented for dinners for up to 170 guests. 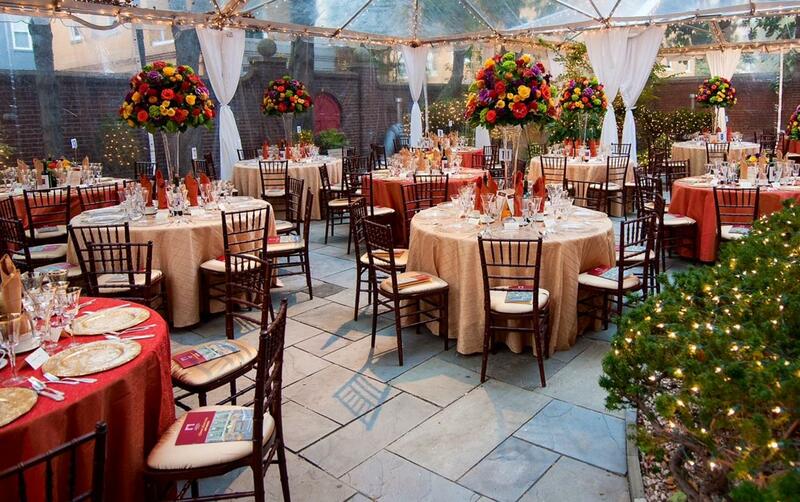 Tenting a portion or the entire garden is suggested to ensure guests have shade and cover in case of inclement weather. If needed, tents can accommodate air conditioning or heating units to ensure guests’ comfort. 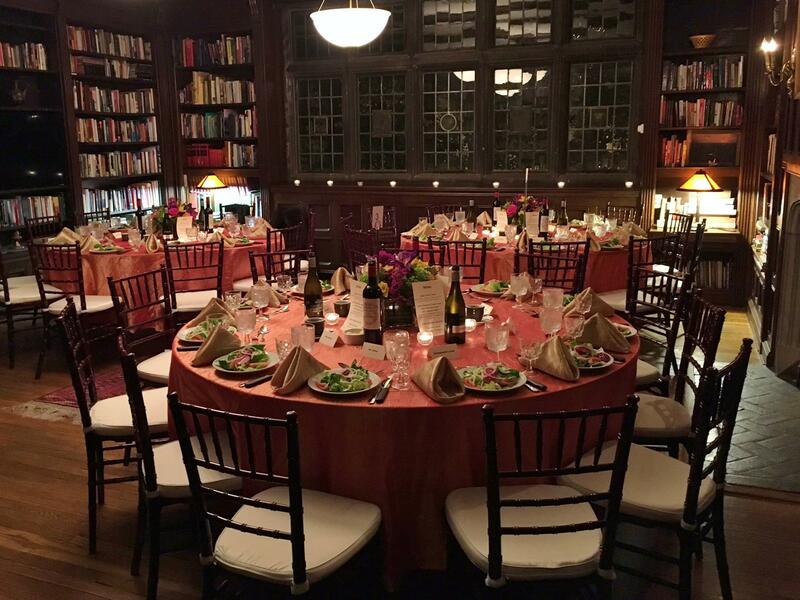 The book-lined Library is an exceptional space to host an intimate dinner, small daytime meeting, or business retreats for up to 30 guests. 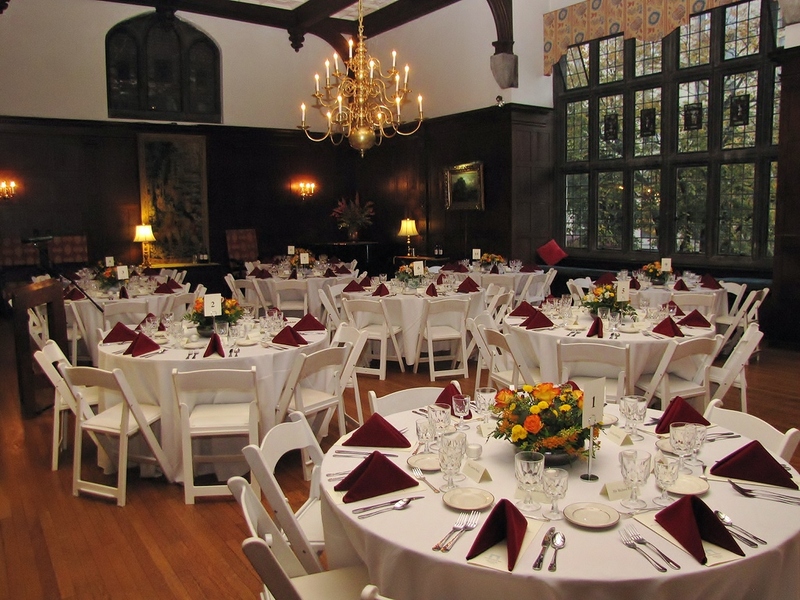 It can also be utilized for small receptions preceding events in the Great Hall. This intimate wood-paneled space overlooking the Garden can serve as a perfect venue for small daytime meetings and briefings.